Close to the beach, right on 5th Avenue! 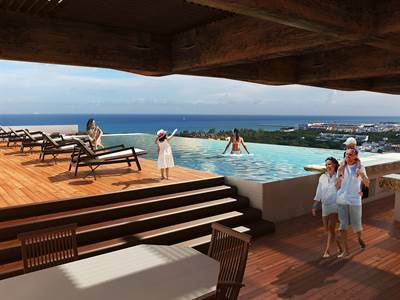 Brand-new condos for sale in Playa del Carmen. 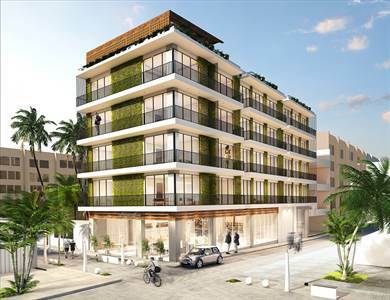 This new condo development on 5th Ave. features only 20 condos for sale in downtown Playa del Carmen. Located very close to the beach, these condos offer magnificent views of the Caribbean Sea and Cozumel Island. Enjoy beautiful sunrises from the comfort of your own bed, and watch the sunset from the panoramic rooftop pool – These condos for sale in Playa del Carmen are truly a jewel between the lush tropical jungle and the Caribbean Sea. The exposed concrete on the building’s terraces gives the sensation of strength to a building that looks otherwise transparent thanks to its tempered glass facade. This beautiful building promises to become a lasting icon of the new 5th Avenue. For investors in the vacation rental industry, these condos for sale in Playa del Carmen make an excellent investment choice. Other buildings in the area present very good ROI and remain rented most of the year. 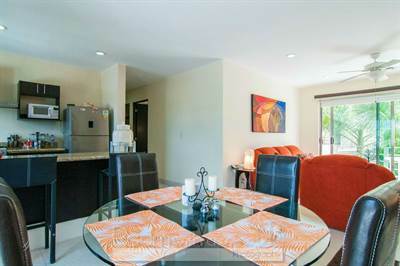 Call us now for more information about these condos for sale in Playa del Carmen. Right on 5th Avenue, one block to the beach! 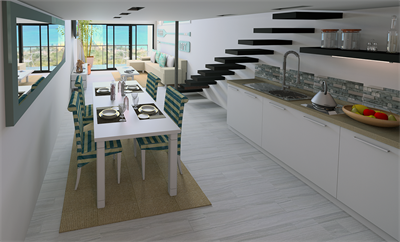 Brand-new lofts and condos for sale in Downton Playa del Carmen, right on 5th Avenue and very close to the beach! 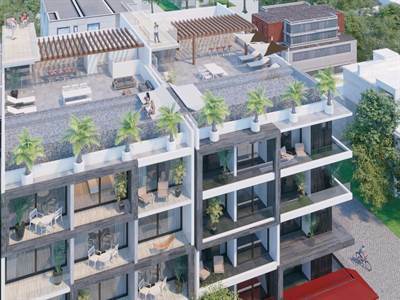 This modern and stylish condo development in downtown Playa del Carmen features 12 lofts and 4 exclusive apartments, large terraces, rooftop lounge with pool, and wonderful views of the Caribbean Sea. 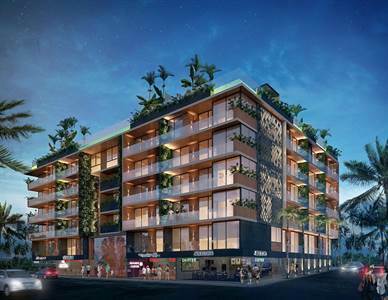 These condos for sale in Playa del Carmen are located right on 5th Avenue, internationally famous for offering more than 800 culinary varieties, World-class hotels, international malls, and just one block away from the white-sand beaches of the Caribbean Sea. *Air conditioning in all condos. *Beach chairs and rooftop lounge area with full bathroom. *Rooftop bar area for events. *Wired for audio entertainment systems. Don’t miss this opportunity to own this wonderful property in one of the highest-ROI areas in the Caribbean. Call us now for more details or to schedule a showing. Downtown Playa del Carmen Loft Condos for Sale in Downtown Playa del Carmen, Playa del Carmen is Sold! in Downtown Playa del Carmen, Playa del Carmen The apartment at Downtown Playa del Carmen Loft Condos for Sale has been sold. PH 401 Hunab Ku in El Cielo Residencial, Playa del Carmen is Sold! 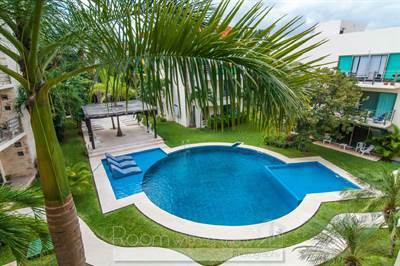 in El Cielo Residencial, Playa del Carmen The 2 story at PH 401 Hunab Ku has been sold. Palmeiras Condo C102 in Ejido Town, Playa del Carmen is Sold! 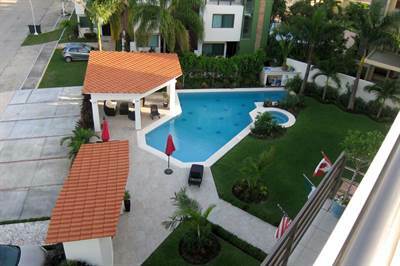 in Ejido Town, Playa del Carmen The apartment at Palmeiras Condo C102 has been sold. Palmeiras Condo C106 in Ejido Town, Playa del Carmen is Sold! in Ejido Town, Playa del Carmen The apartment at Palmeiras Condo C106 has been sold. in Coco Beach, Playa del Carmen Announcing a price drop on Exclusive downtown 2BR condos – Presale, a 830 sqft , 2 bath , 2 bdrm single story. Now FOR SALE 307000 USD . Last 2-bedroom condo available in the building!